The following case was submitted by witness Jamie to The Black Vault / TBV Investigations on 06/15/2018 at 12:31 am. It was assigned to TBV Investigations’ researcher Jim Kerr for investigation and analysis. This case involves multiple UFO sightings, along with activity that may be paranormal in origin or possibly an abduction experience. Witness Jamie submitted the following testimony, photographs, model of craft, and video commentaries which is unedited and appears as it was submitted. 09/05/2010 4:00 am to 09/10/2010. St Thomas, Ontario, Canada (Accounts #1 while seated on railroad tracks). Parkside Blvd. (Account #2 and #3 occurred at Witness Jamie’s residence). Note: Jamie’s testimony consists of a series of events/sightings beginning 09/05/2010 to on or about the 7th or 10th of Sept 2010. Below is the witness’ chronological account of these events. Account 1, Sept 5 2010 saw three lights in a triangle, cross the sky over St.Thomas Ontario Canada approx. 430 am. It went from horizon to horizon west to east in roughly a second or two. Account 2, Sept 7 2010 approx.400 pm I witnessed a transparent”beacon,” oval-shaped almost like an eye with a swirling the light source in the center, travel north to south over my backyard, riding underneath the clouds. Account 3, approx. Sept 10 after hearing a voice say”I should go out for a smoke,” while on my back porch at 330am. 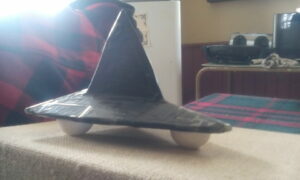 I witnessed a black triangle craft 10ft x 10ft x 10ft approach from the park behind my home on Parkside drive. It made no noise and approached me at maybe 2 km/ h, at a height no more than 20ft. It shined a laser type squiggle in my left eye. It disappeared from sight until I turned to my right and it was there approx. half a football field away traveling the same speed. I was about to chase it down, but the voice said”no it’ll be gone by the time I get back, I should just go in and go to bed” without a thought I did as I was told, it was uncontrollable. Note: Below is additional witness testimony of account #3. This is only one of my encounters as this form only allows so much, there were instances before this, but I wrote them off as religious. I was in my room, in the basement, watching television. An intrusive voice in my head said” why don’t I go outside for a smoke? “I had heard the voice before, but as I said, I wrote it off as religious. 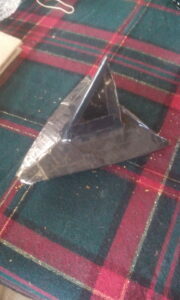 Once outside, a black triangle craft appeared from the woods behind my townhouse. It was approx. 10ft x 10ft x 10ft, the size of a midsize car. It had an oversized cockpit shape on top and from the side was wedge-shaped. Underneath, it had three lit pads in a triangle. As it approached, it made no sound, maybe a slight static sound or moving air but nothing noticeable. Once it was 20 or so ft from me on a 45° and 15 – 20ft up. (If I had been in my sons upstairs bedroom window I could have touched it) I noticed a fourth light in the middle; it lit up red and kind of laser printer squiggled in my left eye. Then it’s not there, I look to my right, and it’s about 100ft away going just as slowly as when it appeared. My first thought was to grab a camera and get a shot of it, but the voice broke through again saying” no it’ll be gone by the time I get back, I should just go in and go to bed” . Uncontrollably I did as I was told. That was the third incident that week but the only one where an actual craft was close enough to identify. I’ve looked for any other photos online that were similar, but only Jim Penniston of the Rendlesham forest military installation has shown the same cockpit type top. 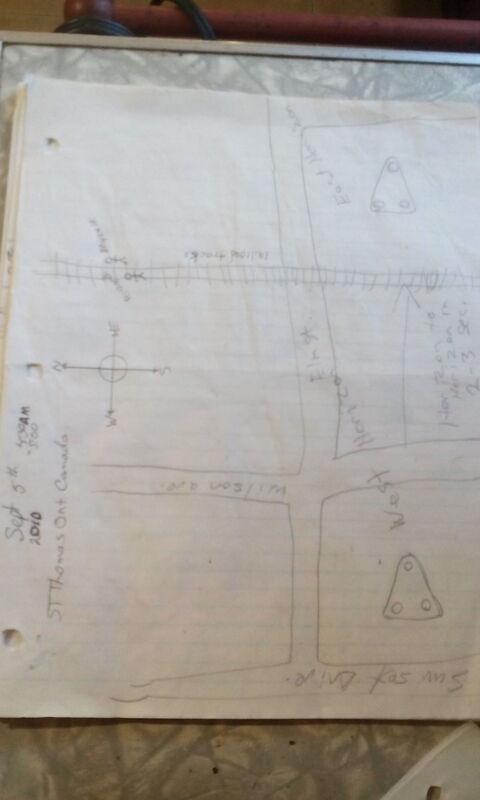 Account #1, Sept 5, 2010, at approx 4:30 am, the witness stated he saw three lights in a triangle, cross the sky over St.Thomas Ontario Canada. Witness stated the triangular lights went from horizon to horizon west to east in in approx one to two seconds. Question: On the 5th at 4:30 am, you were coming back home from making your payment. While on the railroad tracks, you observed three triangular lights cross the sky. 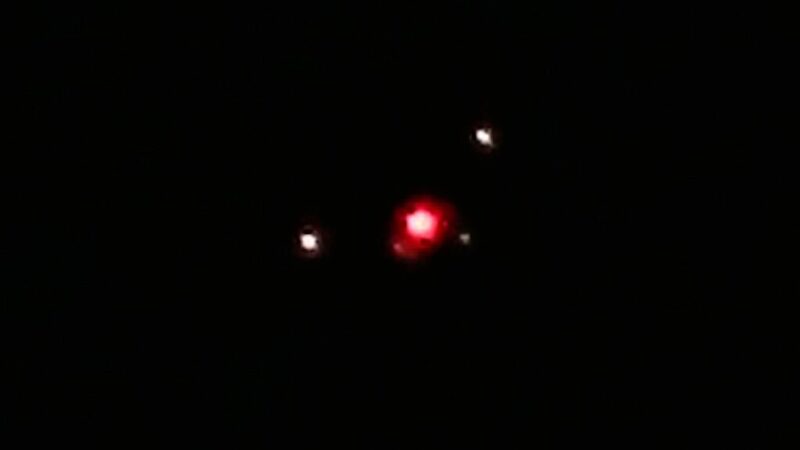 Could you see the actual physical craft or was it just the three lights traveling in formation? In other words, could you see the stars behind the triangular formation as if the craft was transparent or did the area between the lights block the stars? Answer: To be honest, I was concentrating on the lights, it happened so fast. 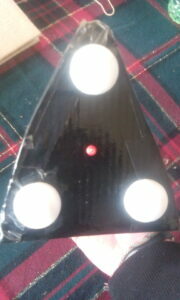 The only blocking out it did was between the lights, so solid for sure but the outline of the craft was not apparent. Question: At arm’s length, measuring with your thumb and forefinger, what was the approx diameter of this object? Account #2, Sept 7, 2010, approx.4:00 pm the witness stated he observed what he described as a transparent “beacon,” oval-shaped, almost like an eye with a swirling motion within the object. 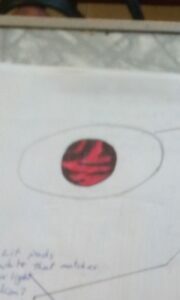 Within this object he observed black, red and purple colors swirling like a lava lamp. The 0bject was traveling north to south over his backyard traveling underneath the clouds. Answer: At arm’s length, 3.5-4 inches. Question: Right after describing the beacon you state you are at a loss and don’t remember much about the next two days. Do you remember doing things that were part of your daily routine such as going to work, cooking, shopping, etc.? I guess what I’m trying to say is, do you believe you have a lost time event or series of lost time events? Answer: I remember feeling like I was in a fog, going through the motions. Nothing I did those two days stands out in my mind. I’ve felt this multiple times since, and I believe it is a side effect of having my memory erased. Account #3, The witness stated, on or about Sept 10th at approx 3:30 am he heard a voice state he should go out for a smoke. 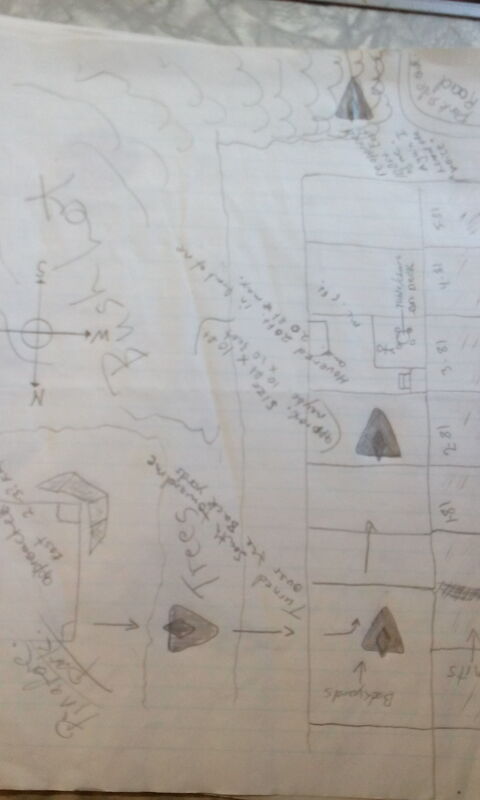 After hearing the voice he went outside on his back porch and observed a black triangle craft 10ft x 10ft x 10ft in size approach from the park behind his residence. It made no sound and approached at approx 2 Kilometers per hour, at an altitude of approx 20 ft. He stated the craft directed a laser type squiggle in his left eye. It then disappeared from sight. The witness then turned to his right and and observed the object approx half a football field away traveling the same speed. He decided to follow it, but he heard a voice state, no, it will be gone by the time I get back. The voice further stated he should just go inside and go to bed. Without giving the voice command any thought, he did as he was told. He stated his reaction was uncontrollable. Question: In your video, you state everything was a blur to you. You state on about the 7th or the 10th you were standing on your back porch and suddenly recalled the events from the prior days. At this point did you recall all the events, including the ones from the 5th and 7th or was it just the encounter of hearing the voice telling you to go our side then observing the triangular craft? Answer: Everything up to the beacon sighting is clear, always was. On the 10th, what came back to me, was the encounter in the yard. Witness’ summary of the marks on his body he can not explain. 2. Cut in nose, recurring since childhood. 4+5, I believe the spots marked on my right bicep and along the spinal cord, between the shoulder blades, are implants. 7. On my lower right abdomen,Thought it was a rash, but when I measured, it was a perfect triangle, 1cm.Nov.2015 faded since. 8. Scoop mark right calf Dec. 2014. 9. Left foot. 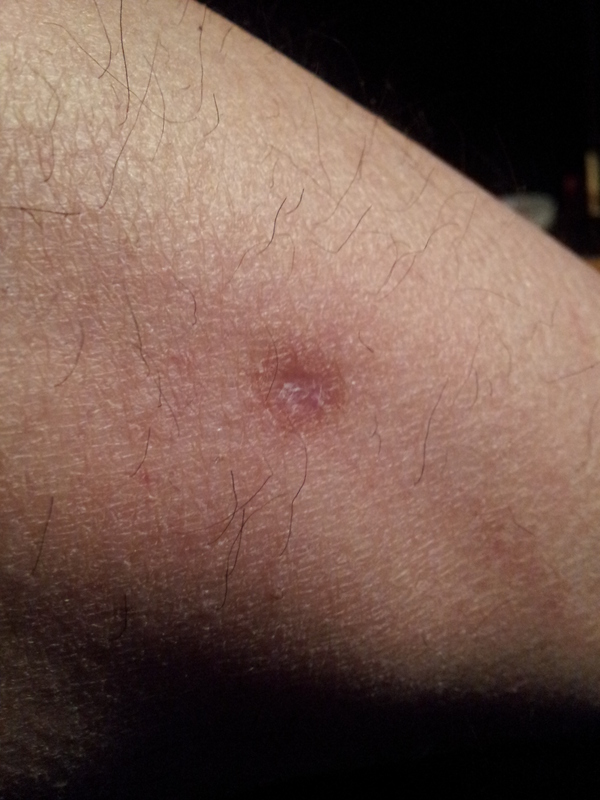 Possible injection site, two dried bloody puncture wounds exactly 1 cm apart. All these dried bloody wounds left no blood on my clothing, as for a long while now, I go to sleep completely covered, pajamas tucked into socks,just for this reason. Below: Video produced by the witness where he describes all three events. He also describes another event of a traffic accident where he was a passenger. Model constructed by the witness depicting the triangular craft. Witness drawing of account #1, Sept 5 2010 at 4:30 am. 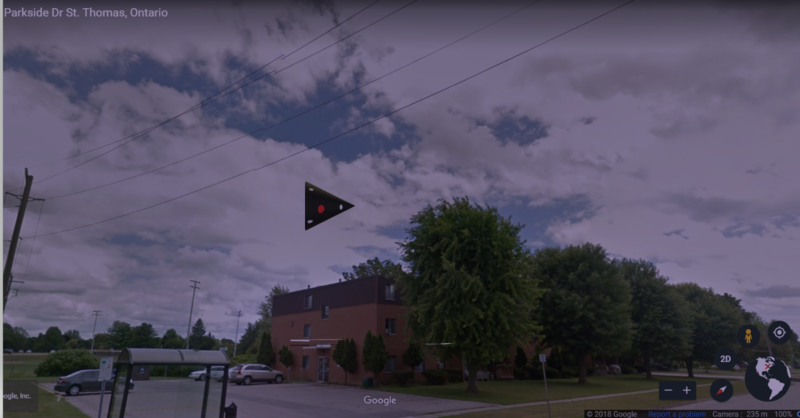 Witness was sitting on the railroad tracks when he observed three lights in a triangle pattern cross the sky over St. Thomas, Ontario, Canada. Witness photo of a scoop mark on his right lower leg. 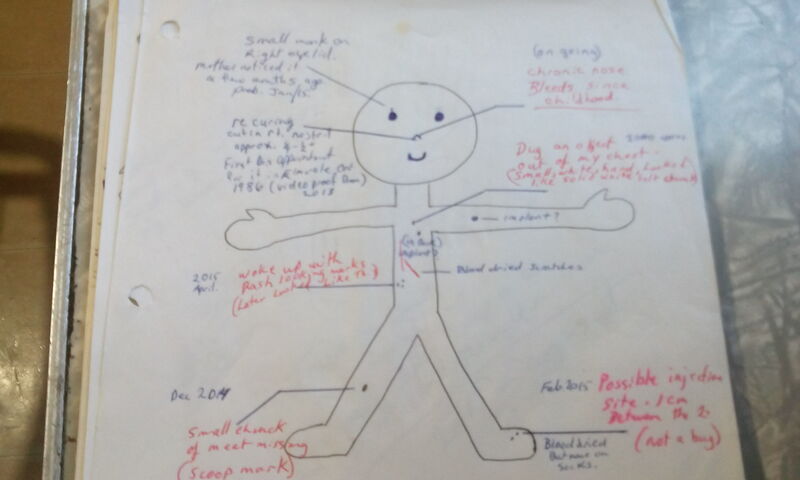 Witness drawing of marks on his body that he can not explain. 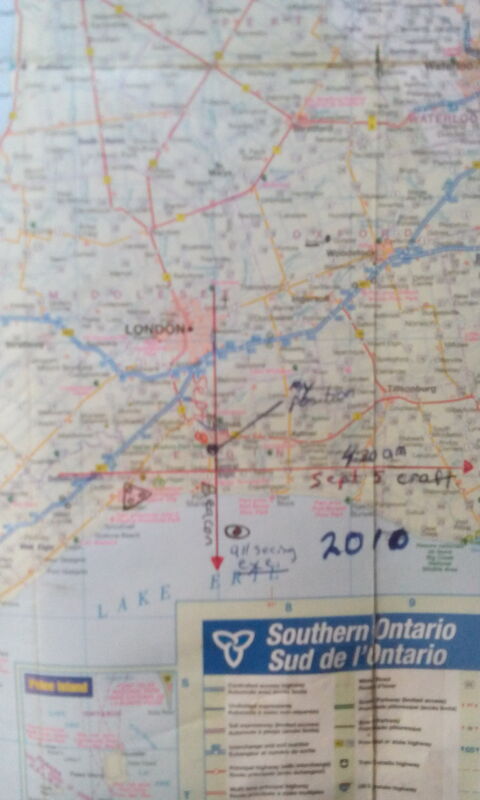 Witness photo of map, Southern Ontario, showing location of his sightings. Witness drawing of account #3, at his residence. On or about Sept 10, 2010, at 3:30 am witness heard a voice state he should go outside. He observed a black triangular craft approach from the park behind his residence. The drawing shows the direction of travel of the craft. 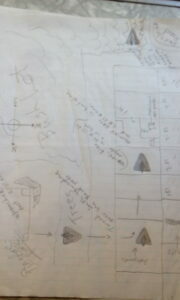 ropped photo of witness drawing of account #2, Sept 7, 2010 at approx 4:00 pm. Witness observed a transparent “beacon”, oval-shaped, almost like an eye with a swirling light source in the center. Object travel north to south over his backyard riding underneath the clouds. Witness drawing of account #2, Sept 7, 2010 at approx 4:00 pm. Witness observed a transparent “beacon”, oval-shaped, almost like an eye with a swirling light source in the center. Object travel north to south over his backyard riding underneath the clouds. In our telephone conversation, I found the witness to be very credible and honest. He is not interested in any notoriety or compensation of any kind for his story. The only reason he has come forward to tell his story now is to share his experience with others. His hope is that others who have experienced similar events can benefit from his experience and possibly find answers. Some may ask the question, how is it possible that after eight years the witness can remember his sighting with such detail. Over the years I have interviewed numerous individuals who have had UFO encounters, some many years ago, and to this day they recall even the most minute detail. With my 1973 sightings and experience, I recall the two incidents as if it was yesterday. These experiences are something that one never forgets. 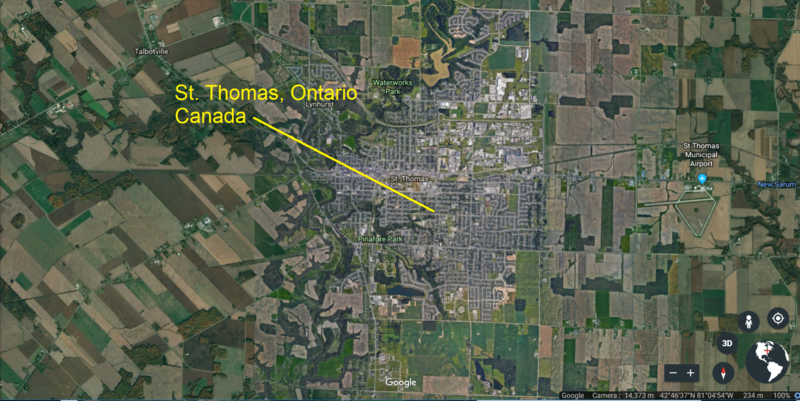 The witness lives in the town of St. Thomas, Ontario, Canada. St. Thomas is located within the county of Elgin with a population in 2010 of 37,900. The topography of the area around the city is fairly flat ranging in altitude from 679 ft. to 803 ft. above sea level. The town is surrounded by rural countryside with small farms. 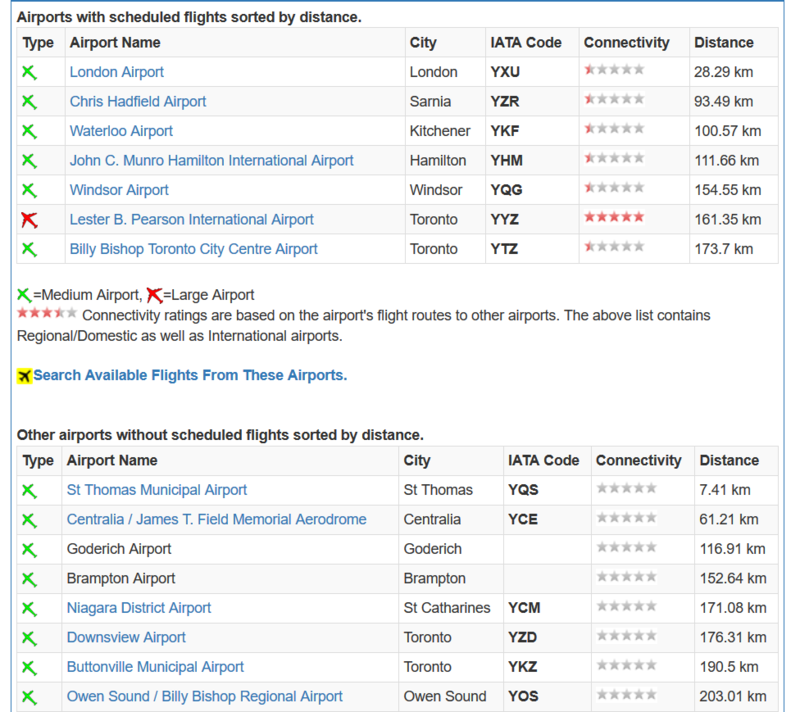 Using the historical archives at wunderground.com, I was able to research weather conditions for St. Thomas Ontario Canada from 09/05/2010 to 09/10/2010. 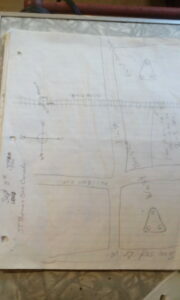 On 09/05/2010 at 4:30 am the witness was sitting on the railroad tracks near his residence when he observed his initial sighting of three lights forming a triangular formation. On this date, the temperature was 50 degrees; dew point was 45 degrees, humidity was 82%, wind speed 10 mph from WSW with zero wind gusts, visibility 15 miles, and precipitation was zero inches. Within approx 30 minutes, the cloud cover went from light to mostly cloudy. Note: The witness stated this in his video testimony. On 09/07/2010 at approx 4:00 pm the witness was on his back porch and observed what he described as a transparent beacon, oval-shaped almost like an eye traveling across the sky with a light source in the center, traveling north to south over his backyard, riding underneath the clouds. On this date, the temperature was 84 degrees, dew point 63 degrees, humidity 48%, wind speed 22 mph out of the SW with wind gusts to 29 mph, zero inches of precipitation, visibility 15 miles, and partly cloudy at 4:00 pm, then mostly cloudy at 5:00 pm. Note: The cloud cover is consistent with witness video statement. 09/08/2010 to 09/10/2010. It is difficult to determine the weather conditions for the day the witness heard the voice state “go outside.” And when he did, he observed the triangular craft at his residence. In the witness’ video testimony he stated he was unsure if the date was the 8th, 9th, or 10th but he stated the time was 3:30 am. All weather data from the 8th to the 10th is available in the links below. The St. Thomas Municipal Airport is 4.6 miles from the city of St. Thomas. The London Airport is 17.57 miles from St. Thomas. See list below for additional airports. Air Force Base located 256 miles from St. Thomas. “Canadian Forces Base Kingston” (also CFB Kingston) is a Canadian Forces Base operated by the Canadian Army located in Kingston, Ontario. Army Base located 289 miles from St. Thomas. “Garrison Petawawa” is located in Petawawa, Ontario. It is operated as an army base by the Canadian Army. Searching the archives of Stellarium, (a planetarium software that shows exactly what you see when you look up at the stars), I found no celestial objects that could remotely account for what the witness observed. Below is historical astronomical data from Weather-Underground. 09/05/2010: Day length 12h 59m, sunrise 6:54 am, sunset 7:54 pm, moon: waxing crescent rising at 3:15 am and setting at 6:04 pm. 09/06/2010: Day length 12h 57m, sunrise 6:55 am, sunset 7:52 pm, moon: waxing crescent rising at 4:33 am and setting at 6:37 pm. 09/07/2010: Day length 12h 54m, sunrise 6:57 am, sunset 7:51 pm, moon: waning crescent rising at 5:53 am and setting at 7:07 pm. 09/08/2010: Day length 12h 51m, sunrise 6:58 am, sunset 7:49 pm, moon: new moon rising at 7:13 am and setting at 7:35 pm. 09/09/2010: Day length 12h 48m, sunrise 6:59 am, sunset 7:47 pm. moon: waxing crescent rising at 8:32 am and setting at 8:03 pm. 09/10/2010: Day length 12h 45m, sunrise 7:00 am, sunset 7:45 pm, moon: waxing crescent rising at 9:51 am and setting at 8:34 pm. 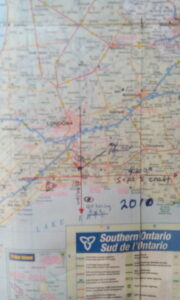 Historical record of UFO sightings between 09/01/2010 to 09/20/2010, St. Thomas, Ontario, Canada and within a 200 mile radius. Using the search archives on the UFO Hunters website, http://www.ufo-hunters.com/sightings/ufosearchresults, I found one sighting on 09/17/2010 for St Thomas. However, there were no available details of this sighting. Within a 200 mile radius of St. Thomas between 09/01/2010 to 09/20/2010, there was a total of 9 UFO sightings. Out of the 9 sightings, 6 were triangular shaped. There were no details of these reports, statics only. Since 1973 I have had an interest in UFO’s, orbs, along with paranormal events associated with and without the sighting of a UFO. In 1973, within one week, I observed my first two illuminated disk UFOs. With both of my 1973 sightings, I experienced what I refer to as a paranormal twist with unexplained events taking place before and after my sightings. Since that time I have observed approx 20 UFOs with and without that paranormal twist. 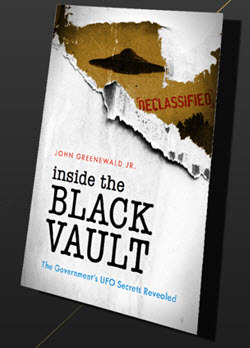 Over the years I have researched the topic of UFOs, UFOs and the paranormal along with alleged alien abductions. While I don’t believe I was ever physically abducted, I have had some very strange experiences which led me to in-depth research on this subject. I have researched books published by researchers Jacques Vallee, John Mack, Budd Hopkins, and Dr. Karla Turner to name a few. Based on my own experiences, I agree with some researchers and others I don’t. On September 5, 2010, at approx 4:30 am Witness Jamie, and a friend were walking down the railroad tracks headed back to witness’ residence. His friend received a phone call so they stopped and witness sat down on the RR tracks waiting on his friend. While seated he looked up and observed three white lights in a triangular formation transverse the night sky at high speed in a west to east direction. 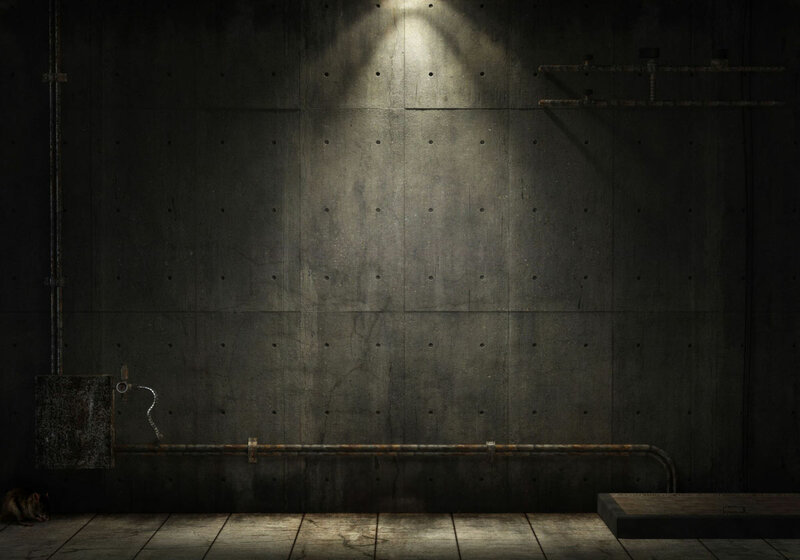 The lights appeared to be attached to an object as he could not see stars behind the object indicating it was a solid craft approx one cm in diameter. Additionally, the witness stated that right after his sighting, within a short period, the sky went from clear to cloudy. His statement was confirmed based on weather archive records. Even though there are airports with air traffic in the area, the three white lights do not match the lights on aircraft. Conventional aircraft in addition to white have red and green lights. Also according to the witness this object was fast, crossing the sky in one to two seconds which is much faster than conventional jet aircraft. There is also the possibility this was some type of advanced top secrete military craft. Based in the witness description of the object I doubt it was a balloon. At the time of this sighting the wind was blowing S/W at 22 mph. According to the witness the object was traveling in a N/S direction which possibly rules out a large balloon traveling against the wind. I researched triangular drones measuring approx 10 feet in diameter. No results could be found for any commercial, consumer, or military craft / drone 10 feet in diameter that had the capabilities of hovering without making any sound or engine noise. 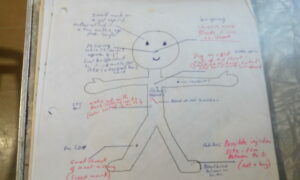 The witness listed a brief history of marks and wounds on his body that he can not explain. Throughout the history of modern-day Ufology and specifically alleged alien abductions, there are thousands of accounts of unexplained marks and wounds associated with a UFO sighting. While this investigation is not focusing on the subject of alien abductions, I believe in Witness Jamie’s case this topic needs to be addressed. Over the course of six days, the witness observed three separate events. One event he had no memory of until days later. He experienced a loss of memory, feeling as though he was in a daze, the possible missing time between when he observed the red light on the craft over his residence, and the craft vanishing then reappearing 100 feet away. The voices he heard in his head giving him commands and he obeying these commands without giving it a second thought. The years of marks and wounds on his body that he can not explain. All the aforementioned are common factors in numerous research books, documents, and articles on alien abduction. Was Witness Jamie’s the victim of alien abduction? No one, including the witness, can confirm or deny an abduction in this case. Without going into detail, I have experienced similar events to the witness. In one of my experiences in 1973, I was awake in bed and told to look out the window. When I did, I observed an illuminated disk at 45 degrees approx 500 feet in altitude. The voice I heard was as if someone was standing in front of me speaking out loud but not audible for others to hear. My opinion is that many UFO sightings may be paranormal or dimensional. These crafts, beings, voices, body marks, precognition, and missing time are not figments of peoples imagination or illusions; I believe the craft are solid objects materializing in our space and time. There is a non-human intelligence controlling these events. The question is who are they, where do they come from, and what do they want? Based on my research and my personal experiences, I believe Witness Jamie’s experienced a series of strange events over the course of six days that can not be explained. In fact, his experience may never be explained. His sightings, voice commands he heard, missing time, marks on his body are all consistent with others who claim to be abductees. Witness Jamie’s testimony is important archival information for others who have experienced similar events in their lives. I hope others who read his testimony and this investigation can benefit from his experience. I do believe he experienced what is detailed in this investigation, however without the physical evidence of photographs or video footage of the objects he observed; this case file status is Unsolved due to lack of photographic evidence. Triangular UFO’s observed at low altitude, under 500 feet. I am only listing this data as an example of triangular UFO sightings. The triangular UFO observed by this witness was much smaller, ( 10 ft. in diameter ), and observed at an extremely low altitude. Below is a link to a MUFON article describing 14 sightings of triangular UFO’s between 01/01/2016 to 05/21/2016. There is not a lot of details listed in this article and I’m only using this as an example of triangular UFO sightings. While the size of these craft are much larger compared to the UFO in this TBV investigation there are similarities. 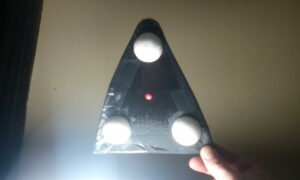 The UFO sighted by witness Jamie share similar light configurations of the three white lights at the end of each triangular point along with the red light in the center of the UFO. 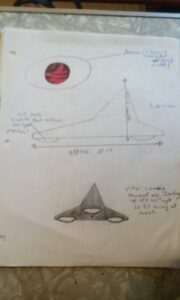 In my opinion, I believe many larger triangular UFO’s may in fact be craft owned and operated by the U.S. Government. It can not be ruled out that our government possesses technology years ahead of what the public is aware of. The following is a condensed version of one of my personnel sightings witnessed three times, once a week, on the same week night, at exactly the same time. Myself and three others observed a large triangular craft, (larger than a 747), slowly rise vertically from the facility of USAF Plant 42 and Lockheed Skunk Works in Palmdale, Ca. The craft rose vertically to an altitude of approx 1000 feet then traveled east crossing over our ranch. I shot video but due to the dark sky the outline of the craft is not visible in this video stll photo. We could clearly see it was triangular in shape.